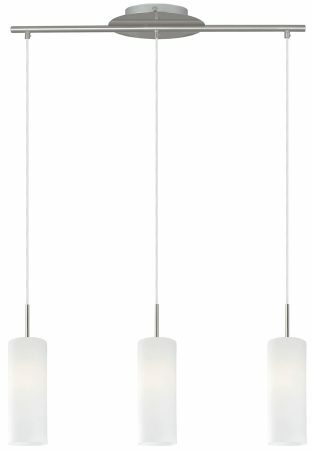 Three chic understated satinated white cylinder glass shades, with a satin nickel mount and clear encased flex. A circular ceiling mount and matching overlapping fascia supports a straight rod to which the cables are attached. 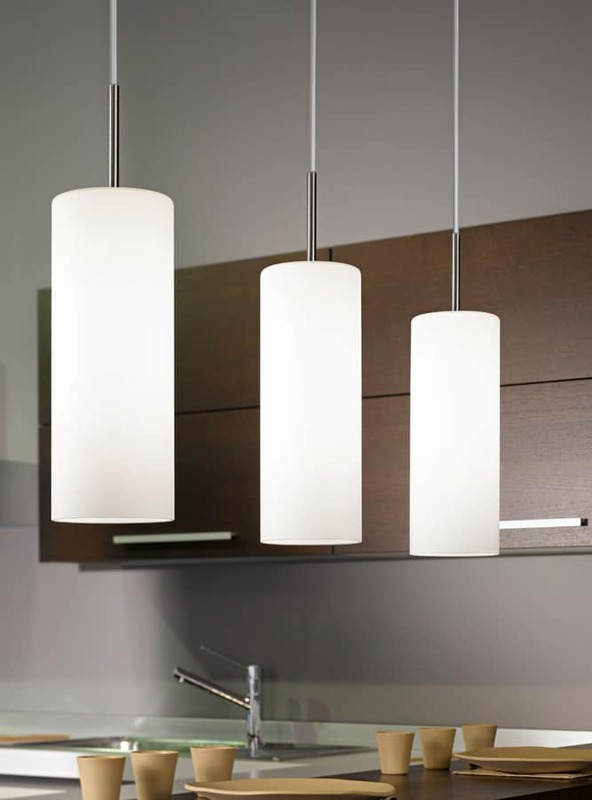 What could be better than this for hanging over a dining table or kitchen breakfast bar to add style and atmosphere. Height adjustable at time of installation only, maximum drop 110cm. 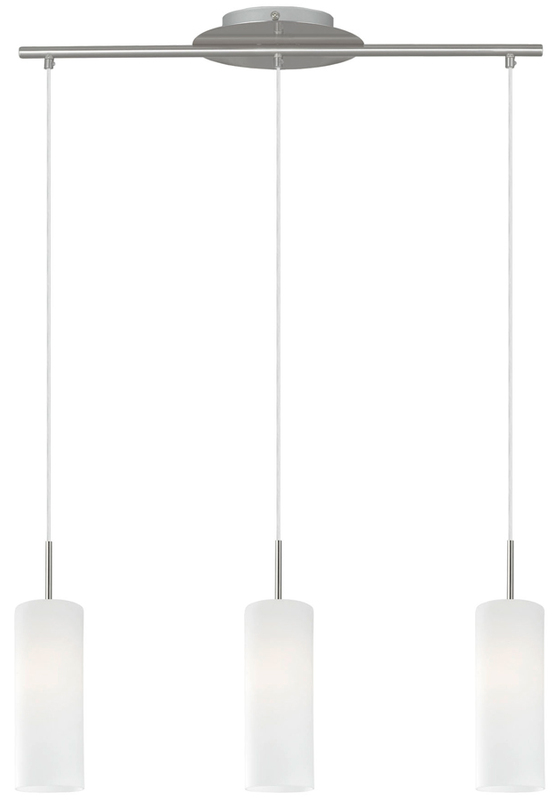 Part of the Troy pendant lighting range.